Naturally anti-bacterial and treated to repel water and oil. 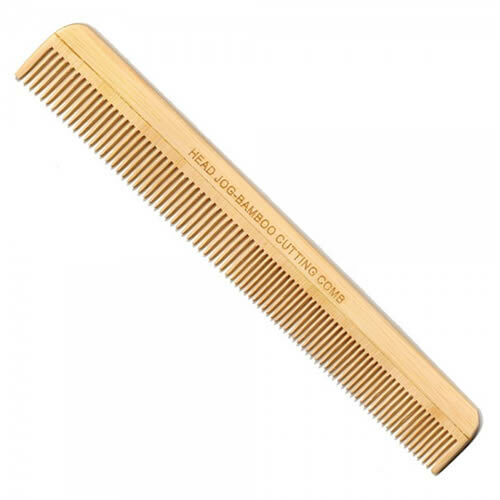 The Head Jog Bamboo Cutting Comb has been produced using high temperature and pressure process that gives it durability and ensures it holds its shape. For extra durability, its surface has then been treated to ensure it repels water and won't absorb oil. It's also naturally anti-bacterial, thanks to a unique compound within the bamboo called bamboo kun which has an anti-microbial and anti-fungal action. Strong, lightweight and durable carbon clipper comb that's heat resistant and static-free. It's designed to aid blending, tapering, flat-top cutting and all clipper-over-comb techniques.